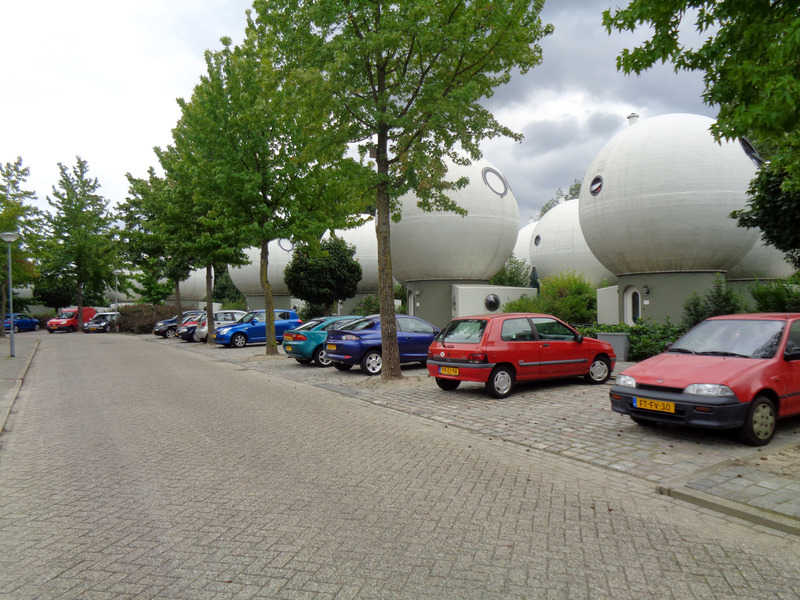 The Bolwoningen (spherical houses) in Den Bosch were designed by Dries Kreijkamp in 1980. A total of fifty were built with a diameter of 5,5m, a floor space of 55m2 and content of 125m3. A similar conservatism is apparent in car sales: 80 percent of the cars sold in the Netherlands in 2013 were either grey, white or black. NL became a grey nation. One striking aspect of ‘het Bollenveld’ in Maaspoort today is the festive parking lot: an explosion of color! Not a single grey hatchback insight… Is there a link between the exceptional residential typology and this vivid palette? Or are the cars still ‘original’, dating from the same era as the houses?